Health officials in Chicago are warning of a type of synthetic weed that makes you bleed. This should serve as a reminder to everyone why when it comes to cannabis, the real deal is always the better way to go. A local CBS news affiliate reports, that officials from the Illinois Department of Health have so far connected 22 cases of severe bleeding, to a type of synthetic cannabis since March 7th. The types of bleeding patients have experienced varies in many horrifying ways. Patients have experienced nosebleeds, bleeding from the gums, and even blood in the urine. Often times, they end up in the emergency room. That is utterly terrifying. Why do people still smoke this crap? Synthetic cannabis is bad news, everyone. Of course, if you’re reading this, you’ve already decided that you’d rather not smoke the synthetic weed that makes you bleed. I tried synthetic cannabis, aka spice, aka K2, many years ago, when circumstances in my life did not allow me to use cannabis. It was terrible. I did experience a head change, but it was not a good one. I felt incredibly paranoid for about 20 minutes and then experienced one of the worst headaches I’ve ever had. In retrospect, I’m lucky that this was all that happened. I could have easily ended up in the emergency room, or far worse. It Actually Does Kill People! More than 100 people in a single Pennsylvania county overdosed in the span of three days in July of last year. 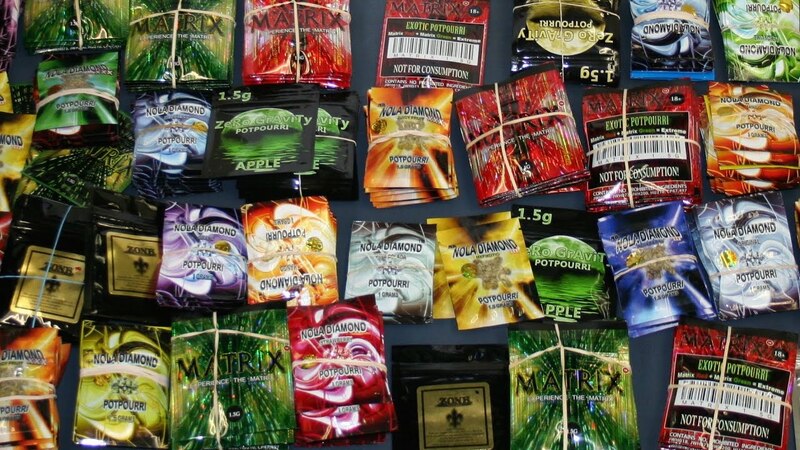 Synthetic weed that makes you bleed, can also kill you, it turns out. Let me remind you right here that the real deal has never killed anyone. Yet another reminder of why we need to leave that fake weed that makes you bleed in the garbage where it belongs. Speaking of real weed, GreenMed’s new interactive dispensary map can hook you up with the best dispensaries in your area. Be sure and check them out! Got any horror stories about trying the synthetic weed that makes you bleed? Share with us in the comments!